Taking a brief pause from sneaking into the back of Twilight: Breaking Dawn screenings and silently whispering, “Please don’t go,” Summit Entertainment has made significant strides toward what it hopes will be its next killer-youth franchise—the long-rumored adaptation of Orson Scott Card’s Ender’s Game—by choosing a lead. The actor who will be saddled with making the potential franchise work, or possibly earning the scorn of generations of protective fans (and maybe even the author himself): Asa Butterfield, the 14-year-old star of Martin Scorsese’s Hugo, and the apple-cheeked boy the townspeople always saw playing Huckle Buckle Beanstalk out in the orchard, until they say one day he came down with the consumption. Anyway, as we’ve reported previously, Summit sees Ender’s Game as its potential Harry Potter, what with its story of a young boy enlisting in a school for gifted children, honing his strategy and combat skills, then becoming Earth’s greatest hope for survival against a dark force—in this case, an alien race. Though of course, as any reader of the series will tell you, again and again and probably right now in the comments section, Ender’s Game has certain, let’s say, surprisingly dark and occasionally naked elements that have long frustrated filmmakers attempting to adapt it, and which would certainly have to be toned down in order to have an all-ages, Harry Potter-like appeal. And the hiring of Butterfield—who’s much older than the protagonist at the beginning of his training, and will be older still when the movie finally sees release in 2013—definitely suggests that director Gavin Hood is already taking a few liberties here and there. 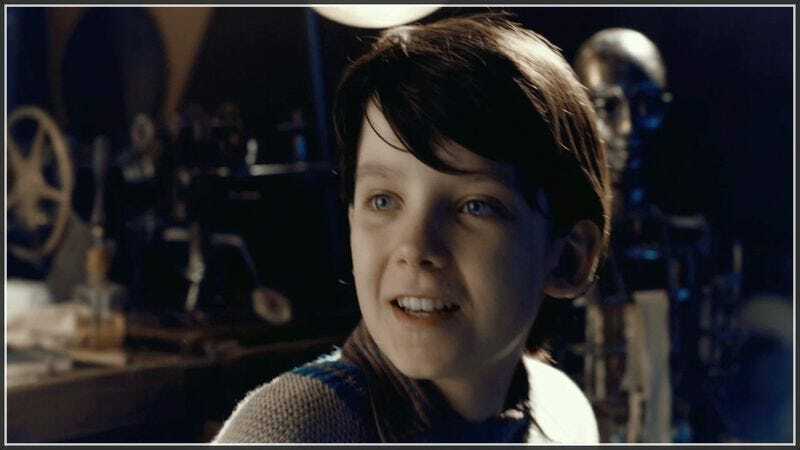 Hopefully the promise of being the next Daniel Radcliffe will alleviate some of the sniping Asa Butterfield is probably about to face.